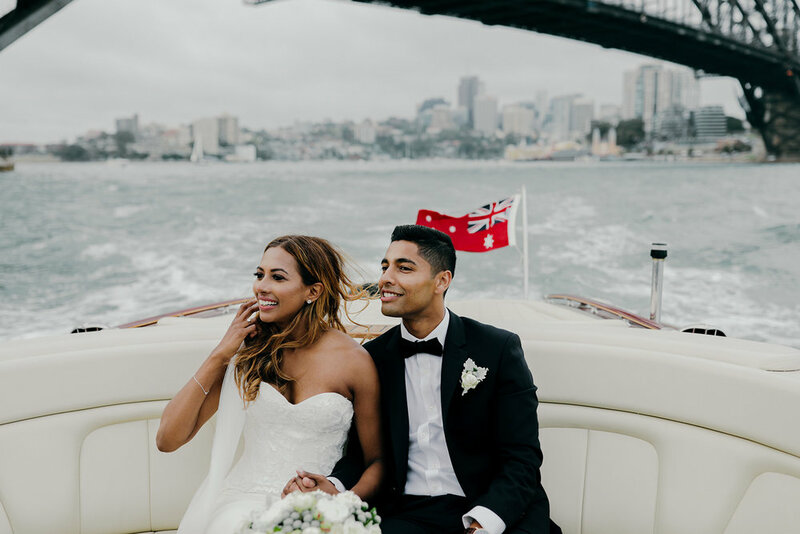 Lavanya & Mukesh — everAFTER magazine everAFTER magazine celebrates and inspires a couple’s journey from their engagement through to their wedding day and beyond including lifestyle and travel. Wedding venues, bridal, fashion and styling inspiration. 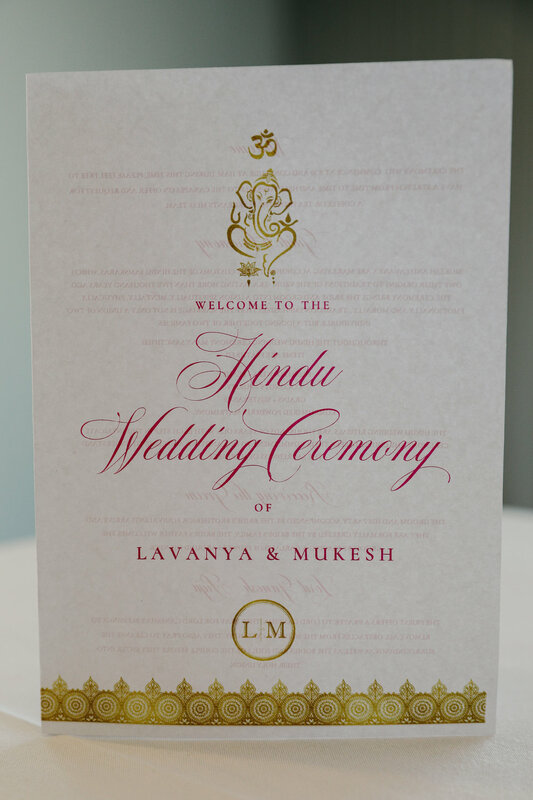 Lavanya also had two sarees for the Hindu ceremony and reception. 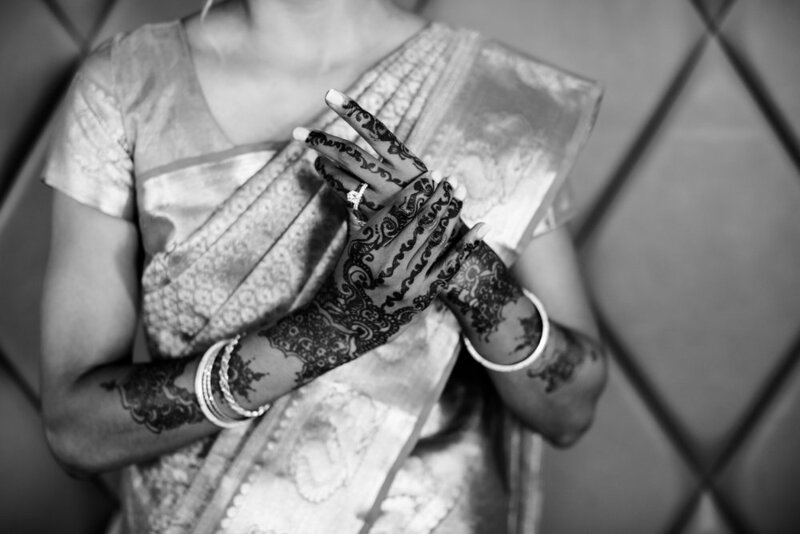 “My sarees were from Mukesh’s hometown in South India. 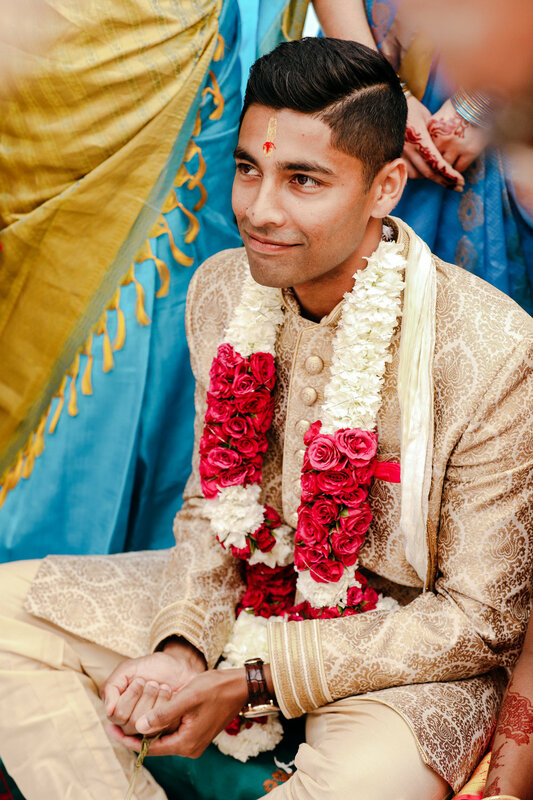 My mother-in-law flew to India to source the outfits for Mukesh, myself and our immediate family members as colour coordination is important to tradition.” Lavanya carried a bouquet of David Austin roses, peonies, dusty miller and brunia. For the civil ceremony her bouquet was exclusively David Austin roses. IN FULL BLOOM | “I adore flowers. Orchids are a staple in our home and I was keen to incoporate as many flowers as possible into our wedding.” For the civil wedding reception, the table centrepieces featured a round mirror base and a circular vase filled with vibrant pink, purple and blue chrysanthemums, roses and green foliage. Candles and silver lanterns also decorated the venue. The civil ceremony arch set a romantic and inviting tone with hydrangeas, olives, roses, chrysanthemums and phalaenopsis orchids. “If ever we found ourselves feeling overwhelmed with wedding plans we would cook a meal together or take ourselves on a date to our favourite restaurant. SERENADE | One of Lavanya’s favourite memories from the day was being serenaded by Mukesh to Ed Sheeran’s Thinking Out Loud. 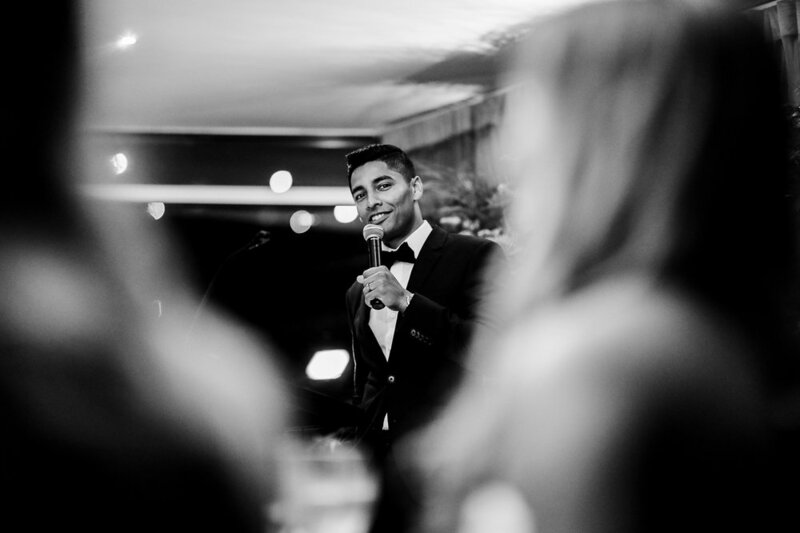 “It was so special because Mukesh often played this song to me in the lead up to our wedding to keep me calm.” The groom’s siblings also performed a witty rap about Mukesh being his mother’s ‘prized baby’. “We wanted our wedding to include everything we love; food, family, friends, whiskey and of course gelati! 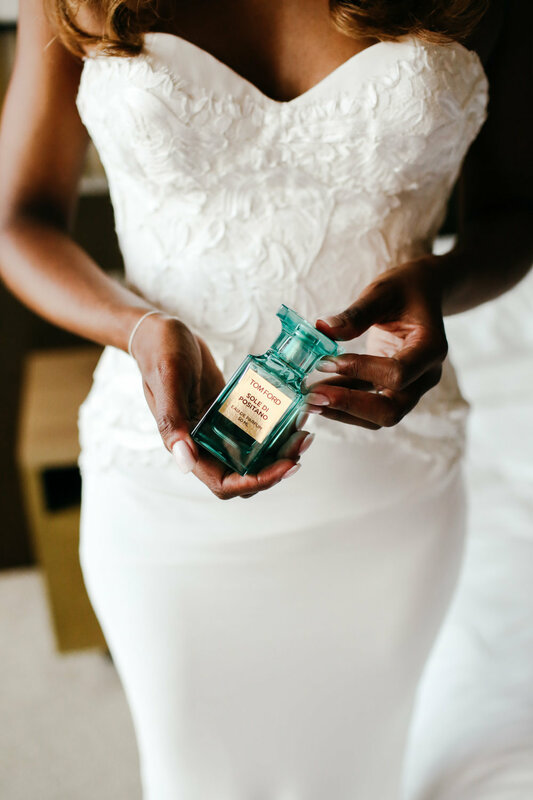 The reception styling exuded a romantic, rustic elegance with a dash of fun and sparkle.” One day just wasn’t enough either with a stunning wedding day brunch at home that followed. Amy and Tom tied the knot at their family property in Victoria. 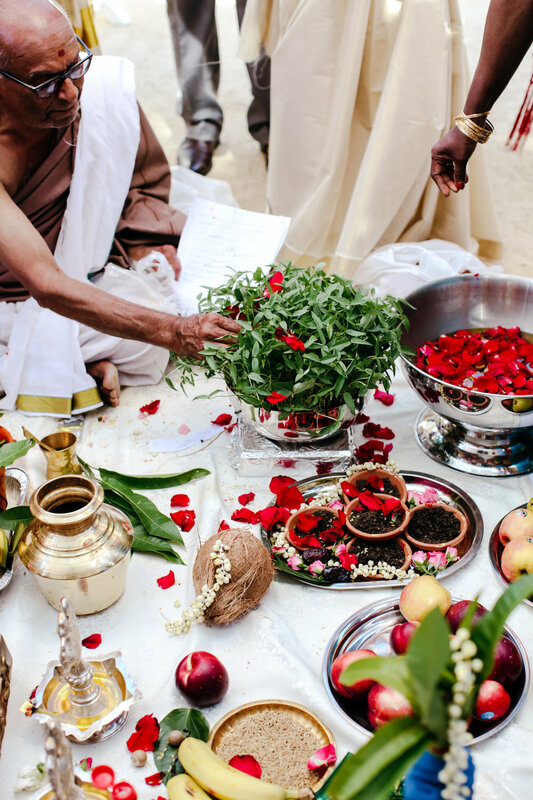 Styled with a hint of baby blue, Australian native flowers and rustic elements, it was a day celebrating family, friends and most importantly love. As fate would have it, a small error in university preferences meant that Lavanya was soon enrolled at the University of Canberra the same as Mukesh studying law and their adventure together began. 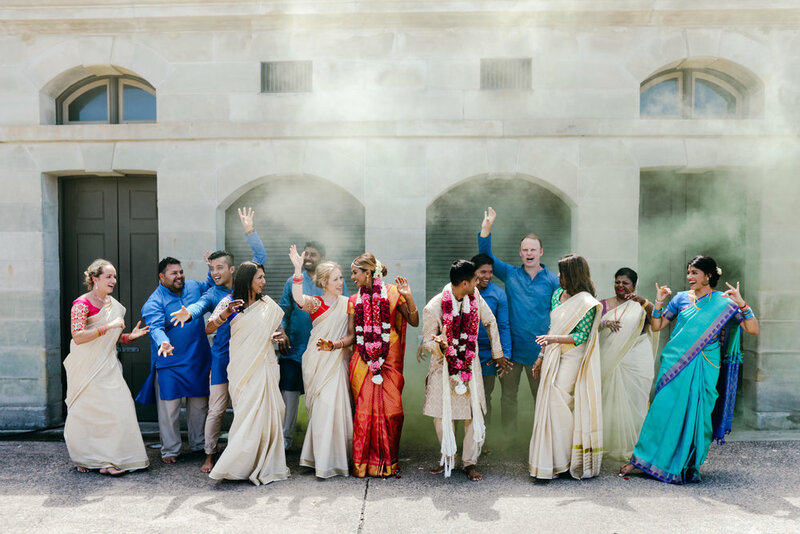 Their weekend wedding celebration encompassed their hindu heritage and their Australian home. With a relaxed and festive vibe as well as bohemian styling it was a beautiful and significant day for the new family. 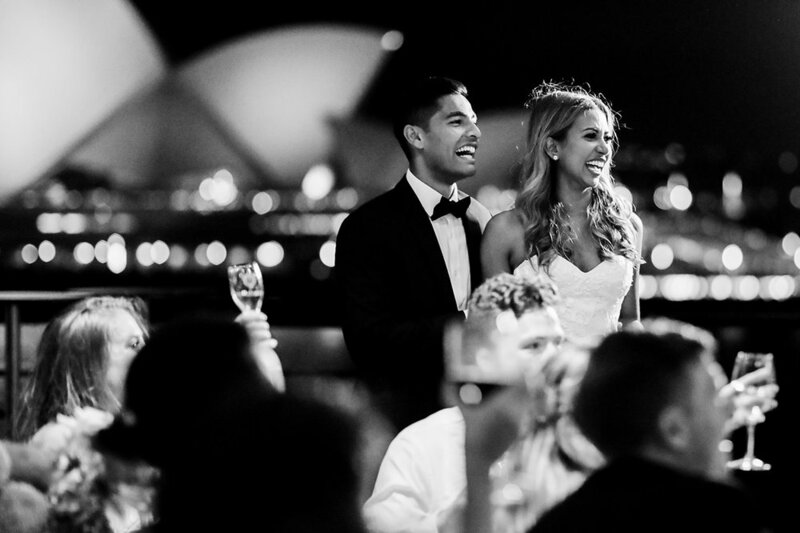 Stef & Alfie couldn’t keep the smiles off their faces during their wedding at Greenfields in Albert Park! The couple absolutely lit up the room. This stunning wedding was styled with rose gold accents and fresh summer coloured floral arrangements. 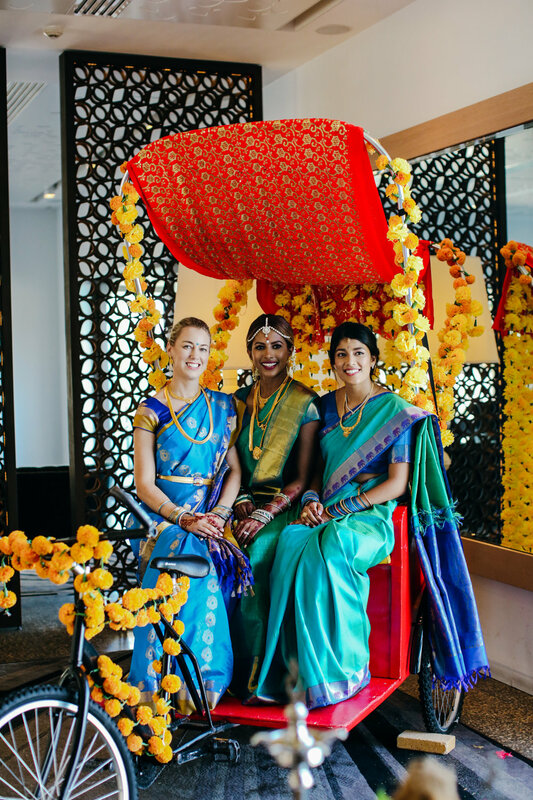 The wedding’s contemporary decor perfectly suited the relaxed vibe of the venue. Mimi and Raimundo’s destination wedding was held in Fiji. 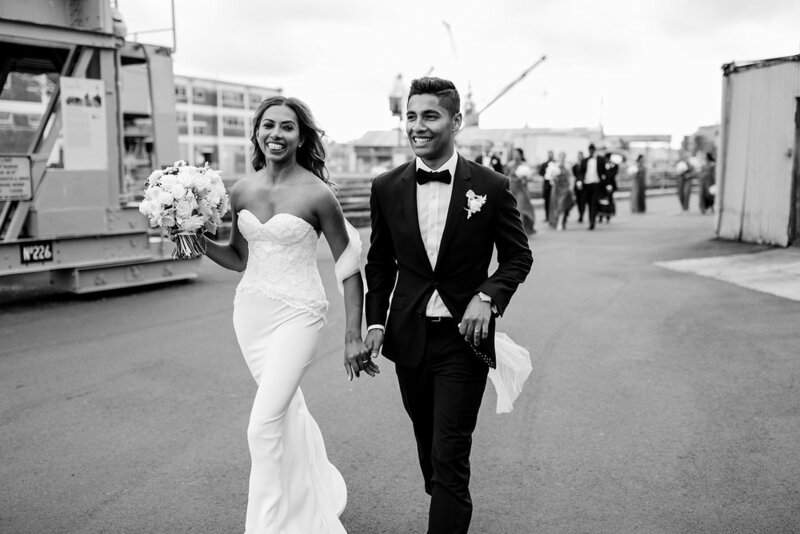 The couple tied the knot with an intimate ceremony overlooking the ocean.